Alison Watkins is a senior associate in the Palo Alto office of Gibson, Dunn & Crutcher, where she specializes in intellectual property and privacy law. Ms. Watkins has successfully represented plaintiffs and defendants in patent cases in a range of technologies and industries, including software, semiconductors, wireless networking, mobile communications, and recombinant DNA technology. 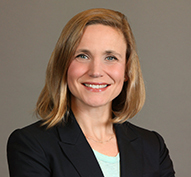 Ms. Watkins has also successfully represented clients in trade secret, breach of contract, unfair competition, and other commercial dispute litigations. Ms. Watkins has played a leading role in litigation in front of courts throughout the United States, as well as the U.S. International Trade Commission and private arbitration. She has substantial experience in all aspects of litigation from pre-suit diligence through appeals to the Federal Circuit. Ms. Watkins also works with clients on privacy issues, including compliance with the EU’s General Data Protection Regulation (GDPR). In addition to her intellectual property litigation practice, Ms. Watkins maintains an active pro bono practice focusing on police reform, enforcement of anti-human trafficking laws, and sanctuary policies. Ms. Watkins also serves on the board of the Legal Aid Society of San Mateo County and on the Executive Committee of the Federal Bar Association’s Northern California Chapter. She is also involved with the Silicon Valley Urban Debate League (SVUDL). Ms. Watkins serves on the firm’s Hiring Committee and is committed to promoting diversity and inclusion in the legal profession. In 2017, Ms. Watkins was named one of Silicon Valley’s 40 Under 40 by the Silicon Valley Business Journal. Ms. Watkins earned her Juris Doctor degree in 2007 at the University of California at Berkeley (Boalt Hall), where she was an Articles Editor and the Annual Review Editor for the Berkeley Technology Law Journal, and published her casenote, Surgical Safe Harbors: The Family Movie Act and the Future of Fair Use Legislation, 21 Berkeley Tech. L. J. 241 (2006). She graduated with honors from the University of Pennsylvania in 2000 with a Bachelor of Arts degree in Urban Studies. Ms. Watkins is admitted to practice in the State of California, the Northern and Central Districts of California, the Eastern District of Texas, and the United States Court of Appeals for the Federal Circuit.